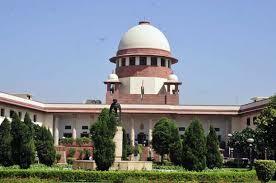 The Supreme Court restores Nabam Tuki led Congress government in Arunachal Pradesh. The Constitution bench remarked; the Governor overstepped his mandate in delegitimizing the state government. This is the second instance following the Uttarakhand fiasco where the Central government’s dealings with an opposition state was found unwarranted by the Apex court. The way ‘co-operative’ federalism is smothered time and again under various Central governments sets a dangerous precedent wherein the State government must function according to the whims and fancies of Delhi lest they jeopardize their chances of survival. With the Supreme Court ruling in favor of states, the ‘misadventures’ of the Central government may finally abate for good. Hundreds of military men arrested in Turkey as an army faction attempted coup purportedly to safeguard the ‘secular’ character of the nation as the increasingly authoritarian President Erdogan began making Islamist overtones. Thousands of people across Turkey took to streets in support of President Erdogan defying orders to stay indoors. 161 have reportedly died in the fight that raged overnight on 15th July & continued well until the following morning. The attempted coup shouldn’t come as a surprise, for the Middle- Eastern polity is often mired in coups & violent rebellions. Turkey regarded as a beacon of modernism in the Middle East has seen itself being pulled in political maelstrom post the Arab Spring & the bloody civil war raging in neighboring Syria. President Erdogan, incumbent since 2003 is a fierce opponent of Syria’s President Assad who chose to forcefully suppress opposition to his rule as winds of the Arab Spring swept North Africa & West Asia. The faltered attempt at coup may become a blessing in disguise for the President as he attempts to reassert himself post widespread opposition to his policies both at home & internationally. President Erdogan’s heavy handed approach to dissent has regularly been criticized by the civil society. The shooting of a Russian warplane near Syrian border last year & the military crackdown on Kurdish rebels in the south- east demonstrates frustration as Turkish policies foundered in the region. From the overthrow of a friendly regime in Egypt in a coup sponsored by the US & Saudi Arabia to his failed attempts at bolstering anti- Assad militias in wake of Russian & Iranian support for the Assad regime, were a few of his glaring strategic failures. President Erdogan may use this opportunity to purge the army & other institutions of dissenters. With the army losing its prestige in the public eye, the civilian government may even receive popular support as a wave of sympathy spreads across Turkey. whether Erdogan’s new found confidence helps him reconcile belligerent political factions at his home or would his iron fist vanquish every foe.